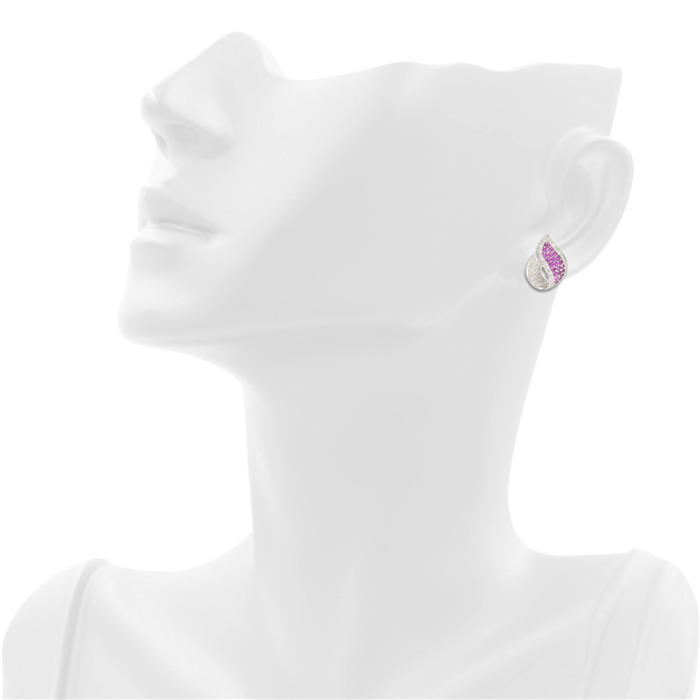 You will be easily captivated by this unique and elegant earring. 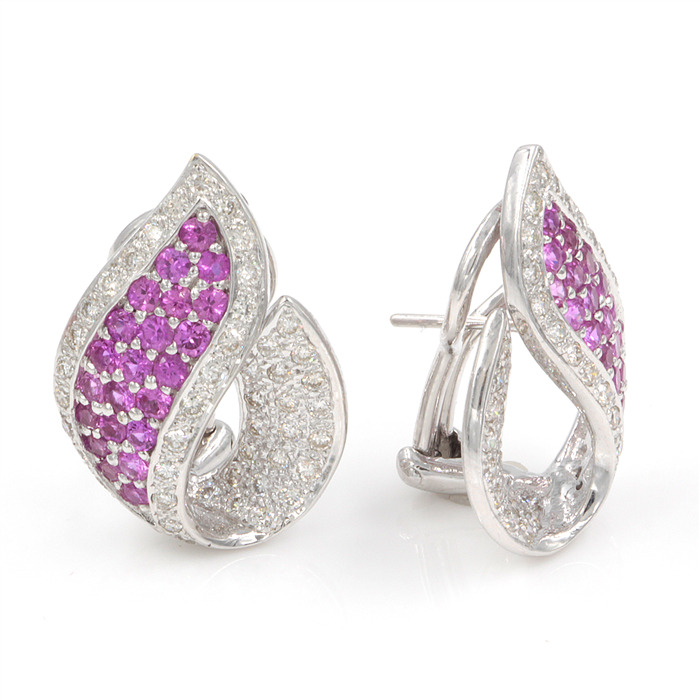 The appealing combination of pink sapphires and diamonds radiates and the standout shape makes for endless wear and compliments to boot. earring measures 1" x 3/4"